Kum Hian is one of my favorite kids at the Imparting Smiles Center in Poipet. He came to us when he was about 12 years old and had never been to school in his life. Over the year since then, has faithfully studied hard and been able to skip years in school. Even one summer he came to my house and studied every day all summer long and when he went back in the fall was able to skip two whole years. Now he is in the 11th grade and will graduate from High School next year. One hot day in February, I had an opportunity to meet a man I had never previously met in a remote jungle hut. He is the father of Kum Hian. As I sat before this stern-faced man I already knew part of his history. I knew he was not a believer and didn’t especially like Christians. I knew he was a Khmer Rouge soldier for most of his life. I knew he was from the minority tribe called “Pnong”. I remember Kum Hian told me after his second year in school that when he went home for a school break and his father asked him sharply what he had learned and Kum Hian wrote on a piece of paper 135 + 249 = 384. His father’s eyes glossed over as he proclaimed how smart his son was. He was the first in his family to have such intelligence. I knew some other things about Kum Hian’s father too. He was not only a soldier in the Khmer Rouge who are accused of murdering 1.7-3.1 million Cambodians, but he was a good one. Sometimes he would catch the enemy alive and torture them by eating their inner organs while they were still alive. He was known for brutality. He remains unrepentant and sees himself as the victim of his enemies. Here I sat in front of this man. Probably the plumpest person he had ever seen; so I was hoping he was in a good mood. I shared with him how his son was the most trusted of all the children in the center. I loved his son as my own. He gave his approval with a slight smile. Then he told me a story about Kum Hian. When Kum Hian was 18 months old their unit had infiltrated a UN Refugee camp called “Cowidan” along the Thailand-Cambodia border. At birth the mother develop a hatred of her son. She explained that she didn’t even want to see the boy. Her heart was filled with hate for little Kum Hian. Then one day, Kum Hian stopped breathing and his heart went silent. The mother was glad and went out to buy burial clothes, but the father was in shock. He described how he was wailing and screaming for the life of his oldest son. Some people came and helped him take the boy to a camp hospital where an American Female Doctor received the lifeless boy. They tried CPR and other things to no avail. At last resort they injected some medicine into Kum Hian’s throat but nothing happened. The American doctor stood back as Kum Hian’s father wept uncontrollably. Still weeping, he answered, “Yes.” Though he admitted, it was the first time he had ever heard of Jesus. He just wanted his son back. Then Kum Hian moved. He came back to life. A miracle took place. I then spent the next few minutes explaining to Kum Hian’s father about the gospel of Jesus and asked him to consider turning his life over to Jesus. I pray that he will see how God is pursuing him and find healing for his heart. Praise God that healing and resurrecting from the dead didn’t stop after the Bible days! 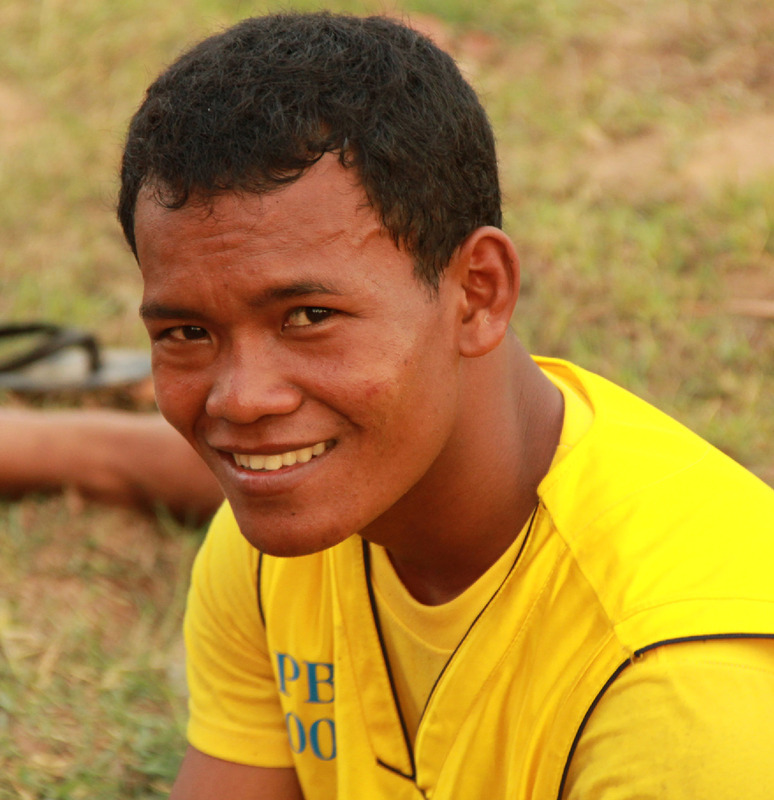 It will be exciting to follow Kum Kian’s life and see what doors God opens for him to impact His country for Christ. Amazing story Steve — let’s see if we can locate that American female Dr. that Jesus used for this miracle……..
Kum Hian is the most trusted of all the kids in the center. I love him! Kum Kian is a remarkable young man and I remember how impressed I was at the way he helped us with VBS last year. What an amazing story this is. It brought tears to my eyes as i read the faithfulness of God even if his dad did not believe and that God has a purpose for Kum Kian as he does for each of us. Thank you for sharing his story. God has a great plan for his life! Such a great back-story of a guy so dedicated to following Jesus today! Mind if I share this story with our church sometime? Thank you for this wonderful story. I join you in prayer for the father.